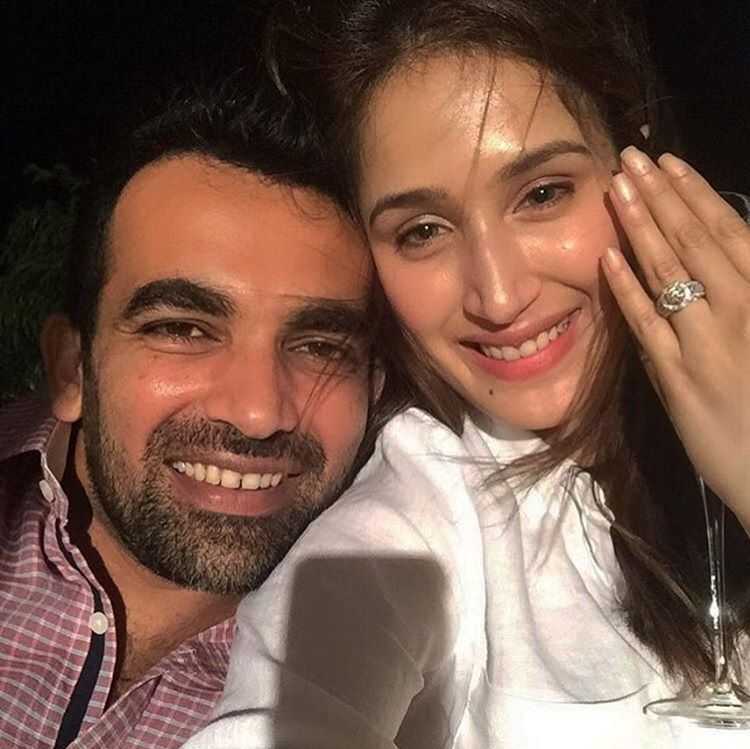 The rumors of alleged romance between Indian Cricketer Zaheer Khan and Chak De India actress Sagarika Ghatge were in the news for a long time. After which, Zaheer confirmed dating Chak De India actress in February this year and now the couple has make it official as Zaheer took to social media and announce that he has been engaged to Sagarika.Zaheer Khan, who is leading Delhi Daredevils in the on going season of IPL, shared an adorable picture with Sagarika to announce his engagement. Sagarika can be seen wearing engagement ring in her and the picture is captioned as, Never laugh at your wifes choices. You are one of them Partners for life. engaged sagarikavghatge.